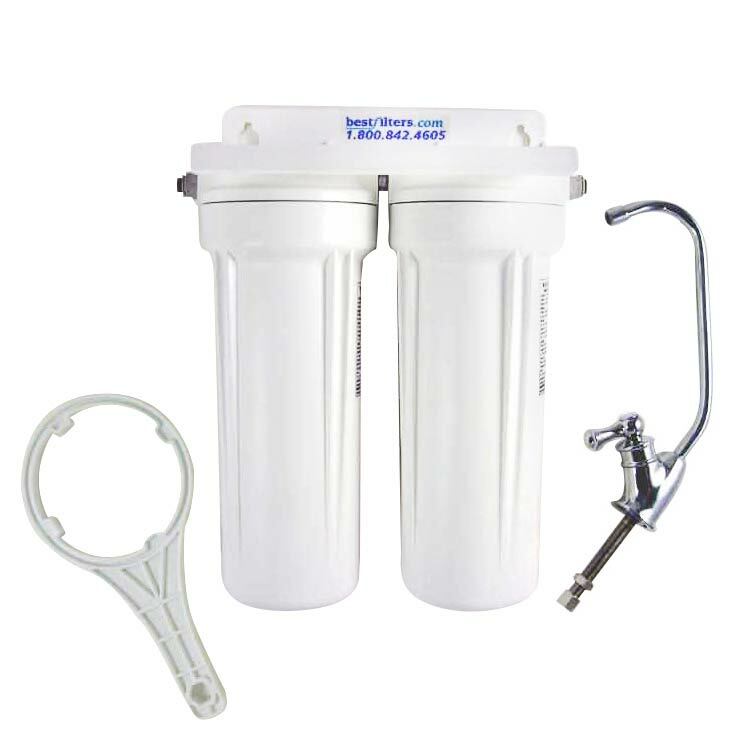 Home > Water Filters > BestFilters Water Filters > Under Sink Water Filter by Bestfilters - Two Stages for Chlorine, Lead, Giardia, Cysts, VOC's and much more. Great for city water if Fluoride or Chloramine are not a concern. Under Sink Twin Superior comes with Ceramic Disk Designer Faucet, Mounting Bracket and Filter Cartridges Installed, and all installation parts. Use code "wten" and save 10% off all water filter purchases! Utilizing 7 stages of water filtration, the Under Counter Twin Superior Water Filter is a great value. Designed for maximum effectiveness on chlorine-treated city water supplies it combines excellent filtration at an affordable price. 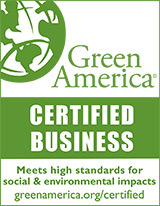 Assembled in our facility from NSF Approved, American-made components for proven effectiveness and safety. 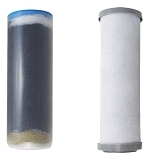 Efficiently filters and reduces Chlorine taste and odor, Lead, Cryptosporidium, Giardia, VOC's, Fertilizers, Pesticides, Pharmaceuticals, rust, sediment, and particulate matter with all the benefits of a KDF/GAC (Granular Activated Carbon) filter cartridge followed by a Matrikx Pb-1 solid carbon block replaceable filter. Outstanding performance is achieved by the replaceable 0.5 micron Matrikx Pb-1 Solid Carbon Block filter cartridge. 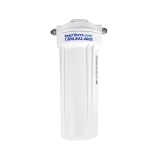 This cartridge removes particulates as small as 1.0 micron (a human hair is 70 microns in diameter) and effectively filters chlorine taste and odor, sediment, rust, and particulate matter for sweet, clear, great-tasting water. These two long-lasting replaceable filters are pre-installed, and includes a premium, designer ceramic-disk faucet. The filters provide 2,500 Gallons (about a year at 7 gallons per day!) of great-tasting, crystal clear water. That`s less than 2 cents/gallon without lugging heavy water bottles around! And you save hundreds of dollars per year over buying water! The long lasting replaceable water filter cartridges (pre-installed), our #WR001 ($24.88), in combination with our # WR024 ($24.88) provides 2,500 Gallons (about a year at 7 gallons per day!) of great- tasting, crystal clear water. That`s about 2 cents/gallon without lugging bottles around! 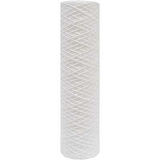 We recommend annual replacement of the water filter cartridges. 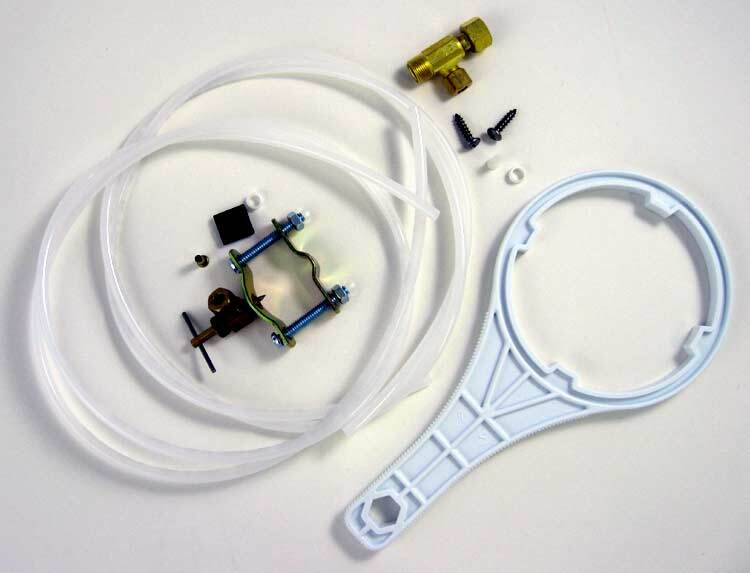 Order filter replacement set WR004 (Contains both filters). 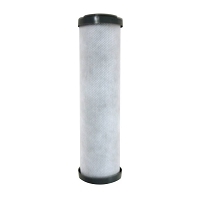 Solid Extruded Activated Carbon Block Filter - Radial filtration, won't channel or allow water to bypass the filter element. 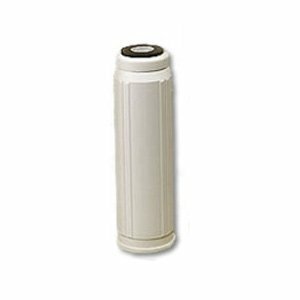 MATRIKX solid carbon block cartridge is a powerful, long-lasting, multi-functional filter cartridge for residential and commercial water purification systems. Heavy Metal Reduction: The extruded activated carbon block filter reduces soluble Lead and other heavy metals and we all know the damaging effects of Lead on children. Chemical Absorption and Adsorption: Offers high levels of Volatile Organic Chemical reduction including chlorine and other compounds like Pesticides, Fertilizers, Pharmaceuticals and more..
Particulate, Cyst and Turbidity Reduction: > 99.96% reduction of 3-4 micron particulates, > 99.96% reduction of 1-2 µ particulates. * Based on KX Industries internal testing. Measures: 10-1/2"Wide x 11-1/2"high x 5" deep. Includes all necessary parts and instructions for easy installation. 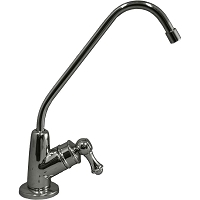 Comes complete with mounting bracket, stainless steel screws, ceramic-disk designer faucet, feed water in-line valve and all necessary tubing. Limited 1 year warranty on parts. We highly recommend replacing the housings every 5 years as the food grade materials used in the housing manufacture may become brittle. Maximum 75 psi water pressure. The filter system arrived earlier than promised. I didn't install it, but the person who did seemed to have no trouble. My main reason for buying this device was to overcome the really strong chlorine smell and taste that the tap water here has. A Britta pitcher had made little difference. The filter definitely eliminated the chlorine problem, but another mineral taste (calcium?) remained. Running the filtered water through the Britta seems to have corrected that. The flavor of the water is now neutral. A previous single filter under counter device (whose name I can't recall) actually delivered water with a very good taste. I don't know how it would have done on this really terrible tap water in my apartment. This is the best two stage water filter system that I have ever owned! The installation was easy. The quality of the parts that came with the system are all first class! I chose the brushed nickel faucet and it is of the highest quality and looks great! Water flow is the best I have ever seen on a two stage system and the water taste is excellent. This company cares about it's customer's after the sell and I will say that Bestfilters.com has just added a new customer for all my filter needs! Easy installation, no leaks. Water tastes great! Recommended! Great filters for the price. Been using an expensive RO system for years and just moved into another home. RO being a water waster we wanted a different more environmentally friendly filter. Was easy to install. For a few days water tasted funny even after flushing the filter, but this went away by day 3. Coming from RO water I can taste the minerals that are now still there, but all of the nasty chlorine taste is gone. I like it better than the RO water now. More thirst quenching water. Water filter arrived quickly. Very robust containers with filters already installed and everything clearly marked. Instal was easy. Only addition I can think of would be a pressure relief button. Have not changed out filters yet so not sure if needed but some other manufactures have that feature. This system was as advertised. Easy to put in and great tasting water after. Very happy so far, have not had long, had ro system before what a water waster! Much more water pressure then before, would have liked the brushed nickel to be a pricey option. 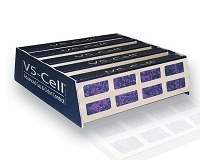 Installs easily, functions perfectly! Water is a wonderful human right ! Pure water is up to us. My Title really says it all. Obviously any plumbing task is not simple for anyone. If youer mwchanically inlined and able and willing to run to the hardware store to get additional parts (to remove the prayer unit for instance, and plug the sink outlet, which is NOT what you hook the water filter too). Also for me, location of the filter is crucial, I only chance filters about once a year, so turning off the water and emptying the cabinet is not a big deal, compared to having to look at the filter housing blocking usable space in the front of the cabinet. Best Filter products and service have kept me well stocked and satisfied for over a decade in two states. Thanks for the great customer service. The unit looks attractive, and the water tastes amazing! Very happy with the customer service as well. Ordered an additional filter for the fridge which was the wrong item (our mistake), and the return and refund was handled courteously and promptly. Works great like it better than RO system. filter works great takes out nasty city clorine taste and odor. And it doesn't waste water like RO system. the faucet that came with the filter seems to be pretty good quality. Have had system for about a month now. I am extremely pleased. A very good quality product however I feel the price is high compared to the GE twin filters that I have in our other homes. 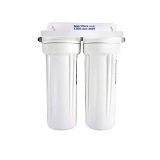 BestFilters Under Sink Superior Two Stage Water Filter System. Huge improvement over old style,we love the new spout. Great company keeps us coming back. You won't be disapointed.